Winter doesn’t kill mosquitoes. Instead, they lay eggs in preparation for spring and go into hibernation. Generally, once the weather warms up to over 50 degrees Fahrenheit mosquitoes come out of hibernation. Here in Oklahoma, it means they can even begin appearing in February. Once the mosquitoes arrive, however, you need to develop a strategy for removing them as soon as you can. Standing water attracts mosquitoes, so your first order of business should be to eliminate as much standing water on your property as you can. Otherwise, they will have the perfect breeding ground in your yard, even if there is only a minuscule amount of liquid. Check any empty flowerpots, buckets, and any other debris which can hold water, and remove the water from them. Unclog your gutters, too. If you use outdoor lights, try using bulbs which emit yellow light instead of white light. Yellow light attracts fewer mosquitoes since they cannot see it very well. Use bug spray and mosquito repellents if possible whenever you are outdoors. Finally, if all else fails, contact a Tulsa lawncare company for assistance. The warmer the weather becomes, the more the mosquitoes will reproduce. They breed and multiply quickly, and any ones which are left unchecked will lay eggs in preparation of the following year. If you only start taking measures once they begin bothering you, then you’re going to have to fight an uphill battle against them. You’ll want to not put it off, or you might need to take more drastic measures when they begin to appear. Getting rid of mosquitoes earlier rather than later will benefit you greatly. It will save you money, time, and hassle dealing with them as the summer progresses, and you can enjoy your lawn in peace. Lowering their population early and removing their breeding grounds before they can reach them, the mosquitoes will move on to more ideal grounds. In addition, driving them away earlier will mean fewer eggs, which means fewer mosquitoes the following year. While you won’t be able to prevent every mosquito from getting into your yard, if you have a good strategy prepared, it can make a massive difference. Even doing something as simple as flipping over empty containers so they won’t catch water, or wearing clothes with light colors can help. 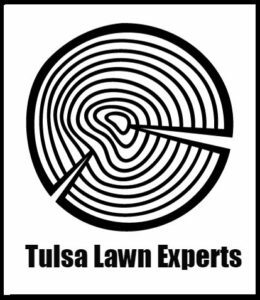 If you need help controlling pests in your yard, contact a Tulsa lawn service today.